I am a furniture snob, I admit it. I do have a valid excuse, or a bunch of valid excuses; my dad is an architect and my mom is an artist- I just grew up around cool things, I went to art school and focused on furniture and jewelry design, I work for a furniture manufacturer- and no not Pottery Barn, thanks. Not that there is anything wrong with Pottery Barn, we are just very different. Because of all of this I am a snob, I like quality and gooddesign. 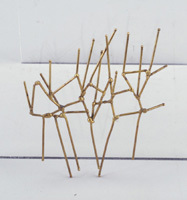 One of my absolute favorites is Harry Bertoia. You might recognize this iconic diamond chair that Harry Bertoia designed in 1952, I am lucky enough to have two of these chairs in my living room covered with cream boucle, they are beautiful and worth every penny. Another favorite of mine the very dramatic asymetrical lounge. 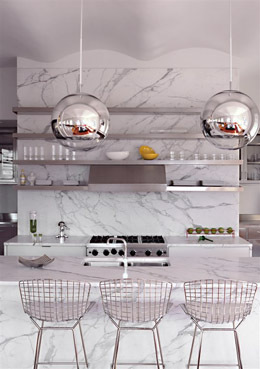 And I hope to own four of these beauties to pull up to a kitchen counter equally as beautiful. Hey, a girl can dream, right? 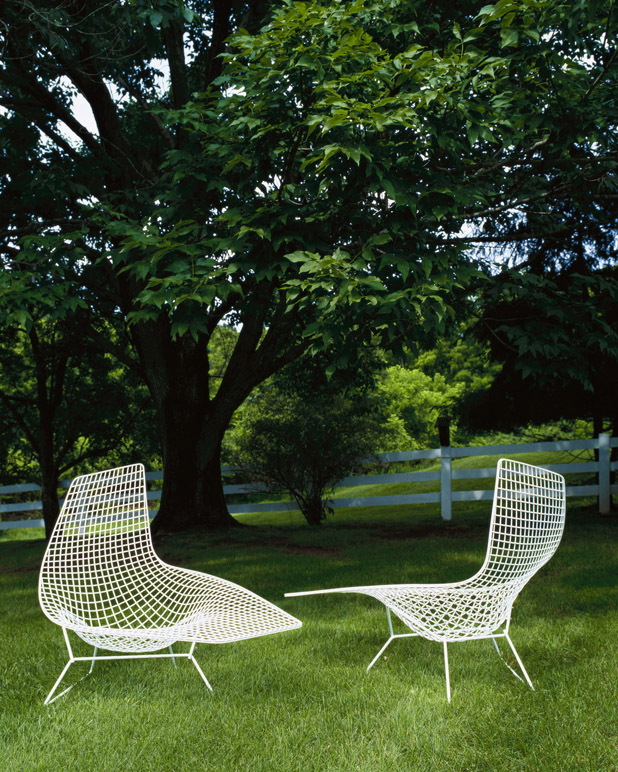 Mr. Bertoia was really a genius among men and he did a whole lot more than furniture. 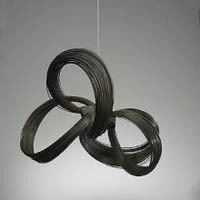 Harry Bertoia is also very famous for his wonderful metal sculptures, he also did some jewelry work- gotta love that. Here is a sampling of some of his other work. Sonambient, sculptures that make sounds. Bertoia would put on concerts in the barn where he made the sculptures, he even recorded several cds of his music. You can listen to a sampling of his music at harrybertoia.org. Harry Bertoia died at age 63, he created more than 50,000 works of art in his life time.